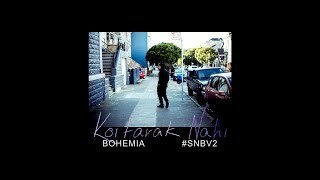 Bohemia’s Koi Farak Nahi Lyrics: The rapper has said that he has dedicated the song to ones he has loved and ones he has hurt. He also expressed his love for his loved ones and asked for sorry if he has hurt his loved ones. The song is from his album SNBV2 (Skull n Bones Volume 2).